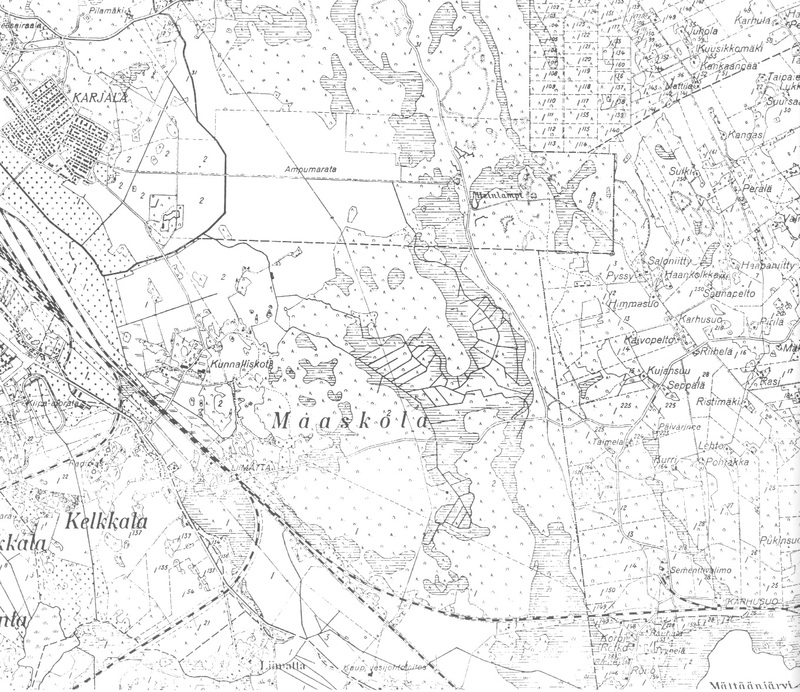 Maaskola area was located on the northern side of the track and the railway yard. Papula old people’s home moved to Maaskola in 1924 and new buildings were constructed to the area in 1929 and 1932. The old people’s home had 272 beds at the end of the 1930s. The pumping station of Vyborg waterworks was located in the suburb on the northern side of Kannaksentie road and southern side of Liimatan kartanotie road.